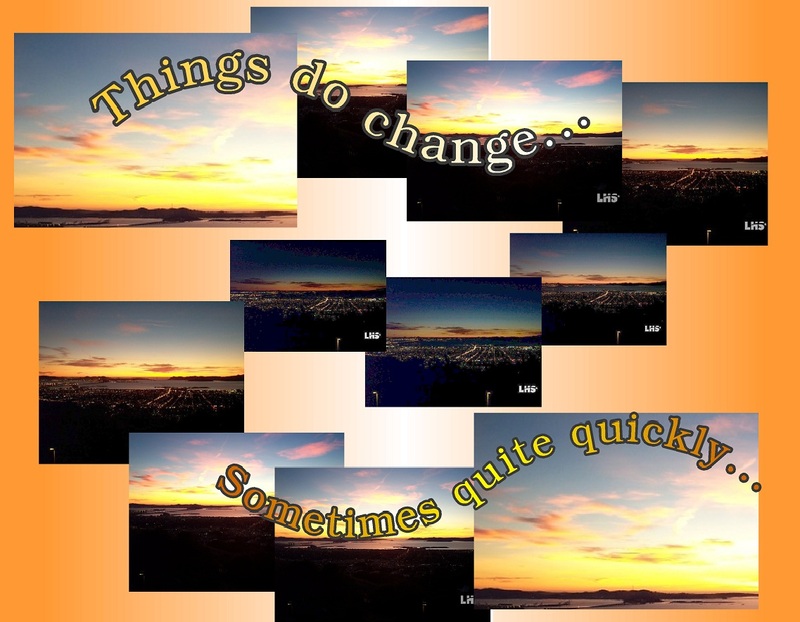 Sometimes it doesn’t feel like things will change, but they always do…shifting from positive to negative and back to positive..back and forth, back and forth..depending on our reactions to circumstances. And so, to keep reminding oneself of that….and to learn to live more effectively with the understanding that this particular concept is one of the few unchanging aspects of our lives…. Photos are from the live web cam at Lawrence Hall of Science, Berkeley CA.